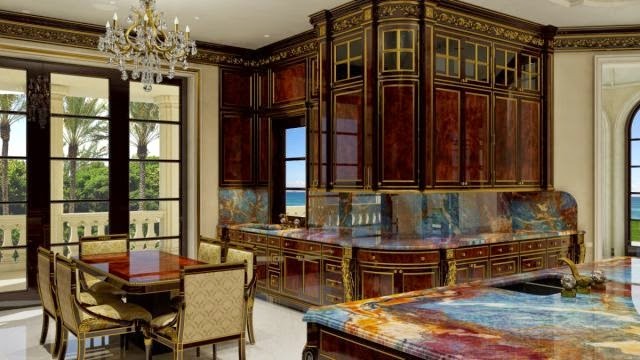 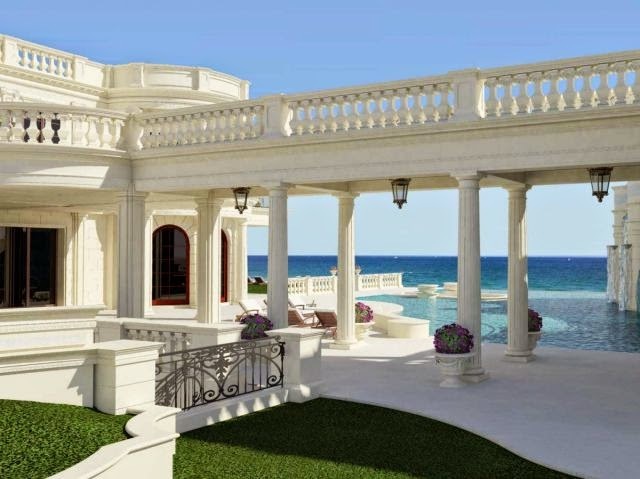 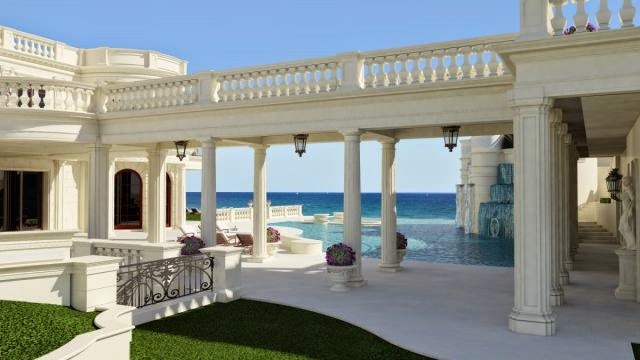 This spectacular property called Le Palais Royal sits on the beachfront on Millionaires Mile in Hillsboro Beach, Florida and is for sale for $139 million. 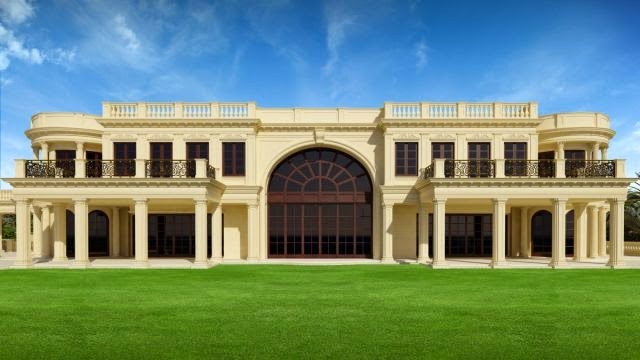 It is 60,000-square-foot, has 11 bedrooms, 17 bathrooms, and the first-ever private IMAX Theater with seating for 18. 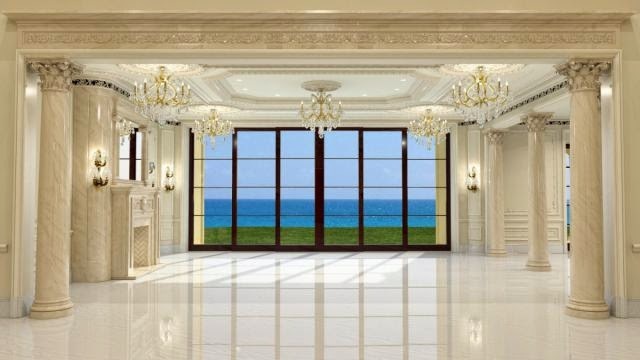 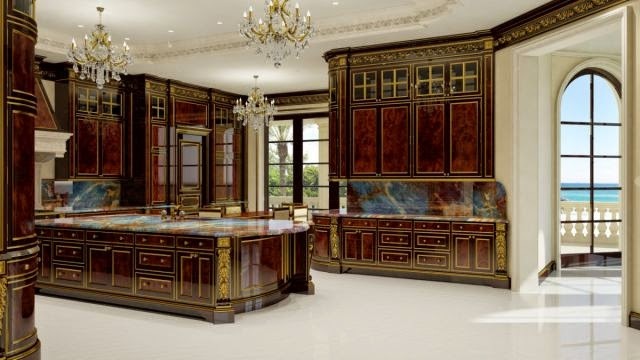 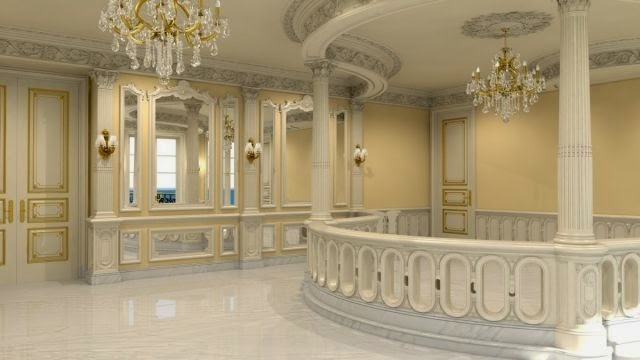 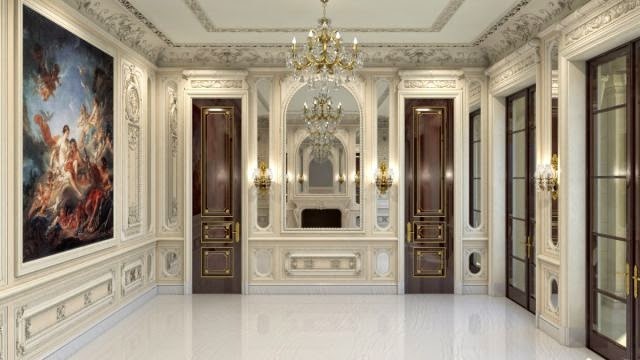 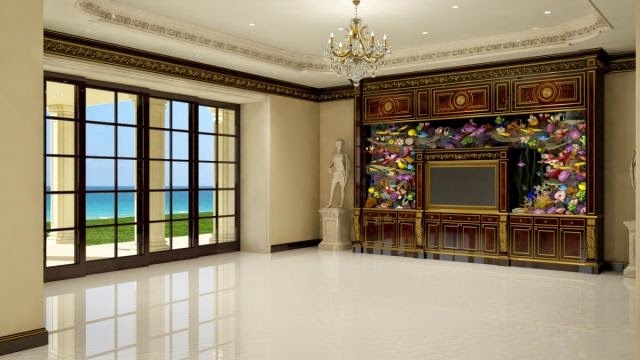 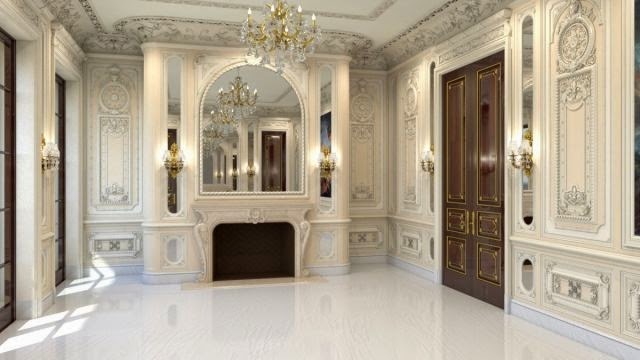 Welcome to Le Palais Royal, the new most-expensive home for sale in the country. 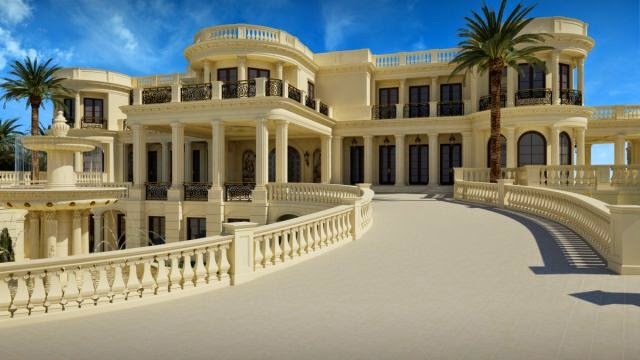 It's expected to be completed by the end of 2015, so this exterior shot is just a rendering of the $139 million "palace." 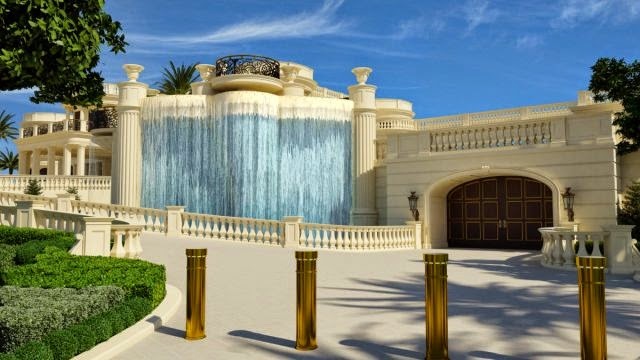 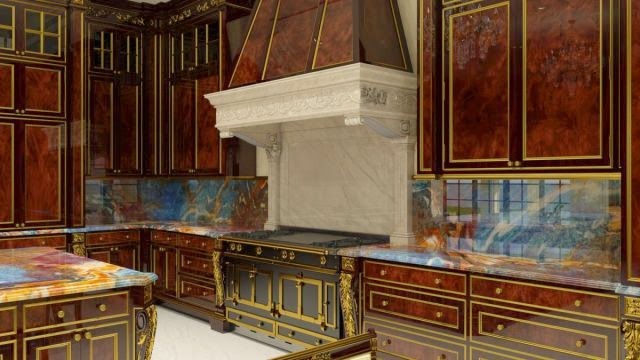 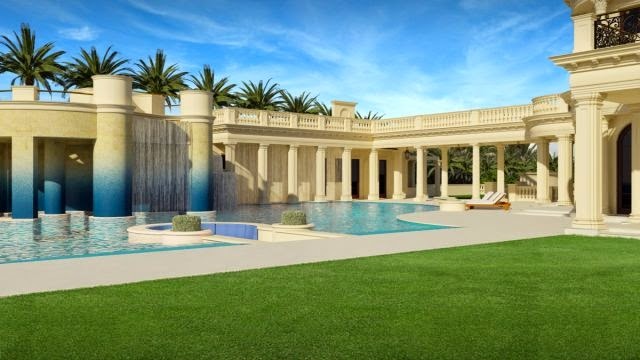 When you pull up to the estate, there will be a 13-foot, 22-carat gold-leaf gate, and conveniently, a water fountain right next to the garage. 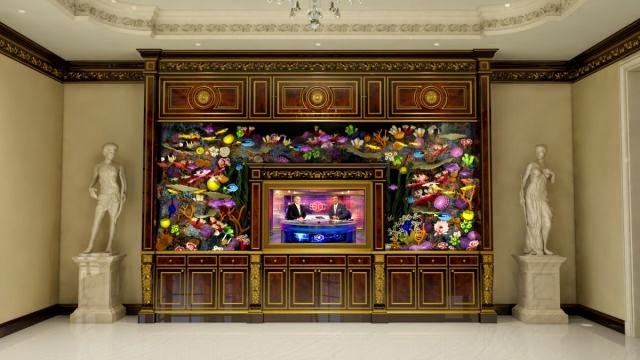 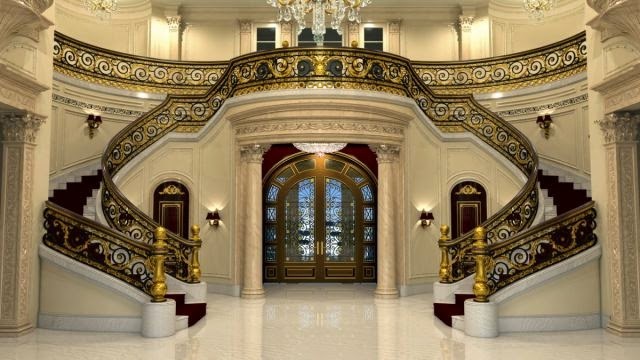 Upon entering, you'll see a $2 million marble staircase with a steel-iron railing and gold leafing. 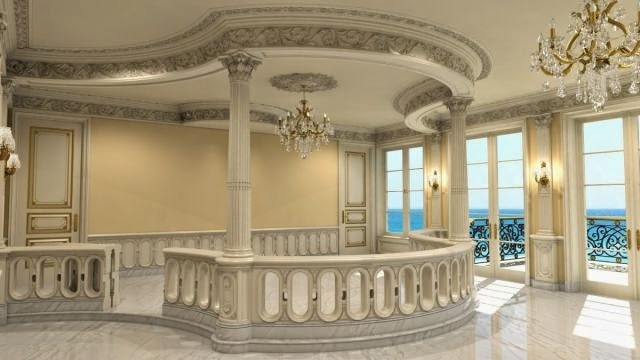 The staircase alone took more than two years to construct. 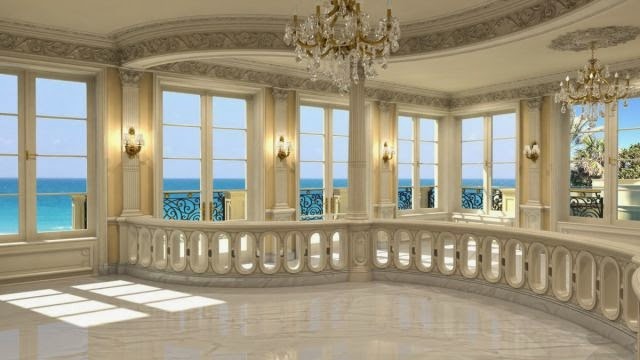 The grand foyer opens up to "Le Salon," which has incredible, panoramic views of the Atlantic Ocean.